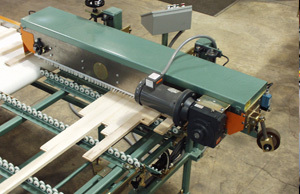 Fingerjointer Feeders, Transfers, Press Crowder/Retards and Flying Cutoff Saws for Wood and Related Industries – Creative Automation, Inc.
Creative Automation builds fingerjointer feeders, 90 degree transfers, press crowder/retards and flying cutoff saws. 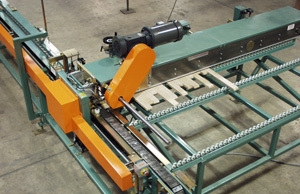 90 degree transfer feeding a press. 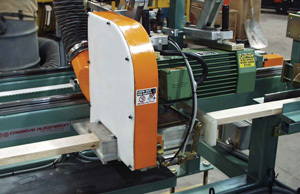 Flying cutoff saw cuts at desired locations and lengths.